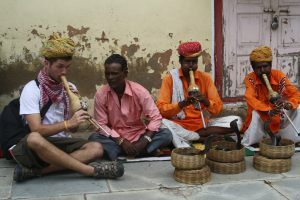 I really didn’t know what to expect from traveling to India with the US Bose Scholarship Program. Having never really traveled outside of the United States, I was excited, nervous, and ready for a new adventure. I was lucky enough to work at the Christian Medical College in Ludhiana and with the students in the Punjab Agricultural University performing research on cancer education and awareness among primary and university level students. Each day, I would take a rickshaw downtown to the bustling hospital where I would spend most of my time preparing our research project while also shadowing the medical oncologists in the hospital. Not only was I able to work in a state of the art laboratory with excellent scientists, but was also able to witness the people lining the halls of the hospital who had traveled days for treatment. We even took a few trips out to the villages to conduct our research with the rural primary school children. Almost every weekend, I would take the train to different parts of India. I was able to see monkey temples, taste different spices, and hike beautiful mountains. Each city in India was special and different from the next. It opened my eyes to the diversity that can be seen all within the same country. 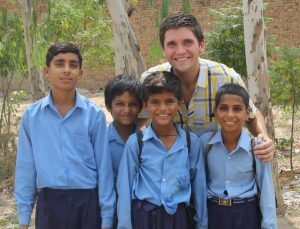 After my experience in India, I decided to join the Peace Corps to continue my adventures before medical school. Today, I’m practicing medicine in Chicago and I truly believe that my experiences with the US Bose Scholarship program shaped my future. The program gave me experiences and opportunities to explore a new world and I am forever grateful to the program!